Atopic dermatitis is a term used to describe a skin condition in which one develops itchy dry skin that can become red, scaly, crusty or oozing, especially when repeatedly scratched. Atopic dermatitis is sometimes called eczema, however this is technically not correct. Eczema actually refers to many different types of inflammatory skin condition to include atopic dermatitis, contact dermatitis, nummular eczema, and seborrheic dermatitis -- so atopic dermatitis is a type of eczema, but eczema is not necessarily atopic dermatitis. Atopic dermatitis can affect both children and adults, but is much more common in children. It is estimated that 10-15% of all children will suffer from this skin condition. The vast majority (90%) of children with atopic dermatitis will have symptoms before the age of 5. It is rare for atopic dermatitis to suddenly develop after the age of 30. About 60% of affected children will still have the condition as adults, although it is typically less severe at that time. The condition is less likely to go away if the child has a history of hay fever, asthma, or if there is a family history of atopic dermatitis. The exact cause is not known. Most likely it is due to a combination of environmental exposures and hereditary factors. About half of children with severe atopic dermatitis end up developing hay fever or asthma by the time they reach their teens which suggest allergies is a factor. Further, the majority of people with atopic dermatitis (70%) have a family history of asthma, allergic rhinitis (hay fever, or environmental allergies), or atopic dermatitis. About half of children with severe atopic dermatitis end up developing hay fever or asthma by the time they reach their teens. Typically, the skin will be dry and itchy. With scratching, the rash will worsen, resulting in red, scaly patches. When more severe, the rash can result in oozing and crusting lesions which can become infected. Over time, the skin can become thick or leathery in appearance. The rash tends to affect different parts of the body depending on the age of the individual. In young children (ages 2-12), the most commonly affected area are the folds of the arms, the wrists, the ankles and behind the knees. In teenagers and adults, the rash often occurs on the hands, the folds of the arms or knees, around the eyes, and in the groin. exacerbate the condition as it will remove the skin’s protective oil from the skin. irritate the skin and cause more itching. to get tested for allergies to find out if these could be exacerbating the problem. itching and rashes of atopic dermatitis, but it is not the actual cause of the disease. Can foods make atopic dermatitis worse? Getting atopic dermatitis, especially when severe, can be very difficult to control. The following stops are helpful in the management. Consistency is the key to control. Avoid scratching. This is very important as the more you scratch, the worse the rash will become, and the higher the risk of a skin infection. Antihistamines such as Benadryl, Atarax, Claritin, Allegra, and Zyrtec help minimize itching – discuss with your doctor if it is OK for you to use them. Put mittens or cotton socks on your baby’s hands to help prevent scratching. Even better, wet the socks at night to keep the skin moisturized. Moisturize the skin. This cannot be emphasized enough. Atopic dermatitis will not get better unless the skin is well moisturized. This starts with drinking plenty of water. Next, you should apply an unscented hypoallergenic moisturizer at least 5-6 times a day. The thicker the moisturizer the better (so use moisturizers that comes in tubs, not bottles). Some moisturizers work better for some people than others, so you may have to try several different types to see which is best for you. Examples include Aquaphor, Cetaphil, CeraVe. You may also want to try Crisco shortening - it often works wonders. Avoid perfumes, harsh soaps and detergents, and fabric softeners as these will irritate the skin and make eczema worse. Avoid wool; use 100% cotton when possible. Minimize stress. Stress or anxiety will exacerbate atopic dermatitis. 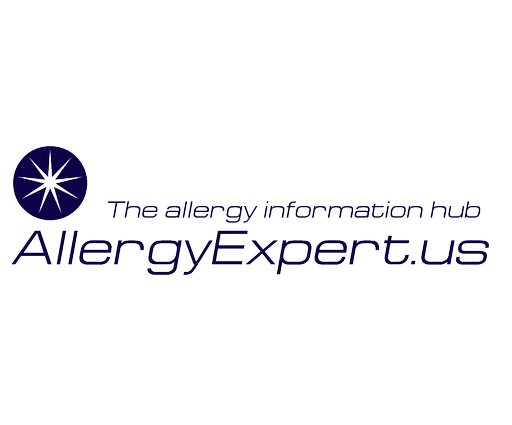 See a board certified allergist to help figure out if foods or environmental allergies are triggers for you. Humidify the house in the winter (unless you are allergic to dust mites, which thrive in a humid environment). Daily bathing with lukewarm water is fine – bathing doesn’t dry the skin, it’s the evaporation of the water off your skin after you get out of the bath (or shower) which results in dry skin. So the key is not how often you bathe, but what you use while in the bath, and what you do after the bath. Minimize the use of soap. Definitely avoid scented soap. If the eczema is severe and you get recurrent skin infections, try adding bleach to the bath. Once or twice a week, add about ¼ to ½ cup of regular household bleach to the bath (it give about the same concentration as pool water) - this will help kill the bacteria on the skin which can make eczema worse. With this, limit the bath to 10-15 minutes and keep the water out of the eyes, mouth, and hair. Pat the skin dry with a towel (don’t rub) and apply a thick moisturizer on the skin as quickly as possible to trap the moisture in. For more information , visit the National Eczema Foundation.